I am always interested in finding and trying out concealers that will cover my dark circles. Even when I’m rested I have dark circles. It’s just a part of me, but that doesn’t mean I have to like it. So, concealer is always in my makeup bag. I’ve been using the Nars radiant creamy concealer to cover my dark circles and I love it! But I thought it would be good to try something new and I went and bought the Instant Age Rewind Eraser at Olive Young for 15,000KRW. In the States you could probably get it for less than 10 bucks. There were only two color choices at the store (boo! ), fair and light, so I got the light because I’m on the tanner side. There are usually 6 shades you can choose from, fair, light, medium, honey, neutralizer, and brightener. The color I got is about 3 shades lighter than my skin tone. The concealer has a round sponge tip and you turn and click the head of the applicator to get the product out. I think about 3-4 clicks to the left is about enough to cover around my eyes. The texture is not too creamy, it’s very lightweight and blendable. The active ingredients that make this a treatment concealer is the goji berry extract and haloxyl. Goji berry extract is a natural antioxidant and anti-aging ingredient. Haloxyl absorbs and eliminates colored blood pigments in the skin that are responsible for dark circles under the eyes. This concealer will not only cover the dark circles but treat the problem over time. I’ve only been using for about half a week so I can’t really see the treatment results but so far it has been doing a great job covering my dark circles and brightening my eye area. forgive my eyebrows…. left is before and right is after. To apply, I draw a triangle shape underneath the eye area and blend it with my fingers or go over it with foundation then set it with a powder. It’s pretty great for hotter weather. I stick to creamier concealers during winter but now it’s warmer and it’s going get humid, so a lightweight concealer isn’t going to get trapped in the fine lines around my eyes. I think the trick with this concealer is to apply in layers. After the first layer dries and sets, go back in to the darker areas and blend it in by patting it into the first layer. I hope that made sense! Haha. 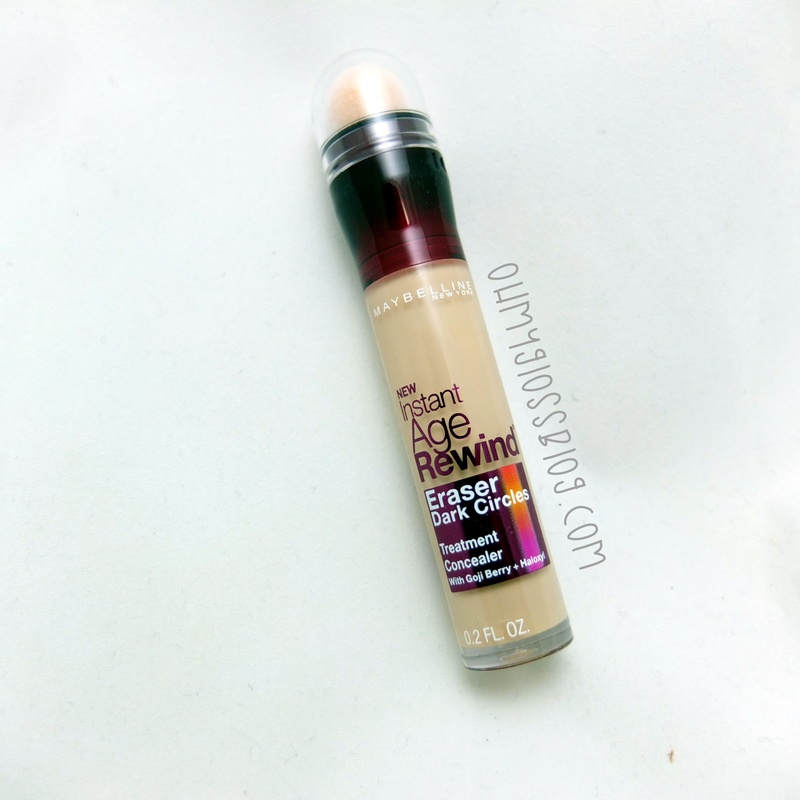 If you’re looking to buy a budget concealer try this one out and erase your dark circles away!